One News Page United States > Entertainment News > Gwen Stefani, Courteney Cox, Rita Ora & More Help Raise Funds for Woolsey Fire at One Love Malibu Festival! 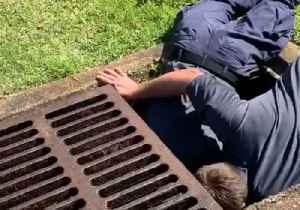 Firefighters in Bonita Springs, Florida, used the sound of a mother duck to help coax eight ducklings out of a storm drain on Monday, April 22. A crew from the Bonita Springs Fire Control and Rescue..